Alhaji Sani Lulu-Abdullahi, former President of the Nigeria Football Federation (NFF) on Friday called on upcoming football stars to think of making the Nigerian dream realizable first before their personal ambitions. Lulu-Abdullahi, who is also the President of Fosla Academy FC, told the News Agency of Nigeria (NAN), that great football players in the world rose to stardom after lifting their country first. He criticised what he called “selfishness” of some players who had abandoned the country’s project for their own self aggrandizement. “Our young players must first of all make their country proud and great before thinking of plying their trade outside. “My club for instance, the players have no other dream in mind for now other than the Nigerian dream,” Lulu-Abdullahi said. 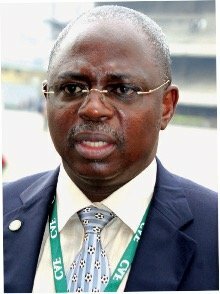 The former NFF President restated the need for players, especially upcoming ones, to embrace patriotism as a watchword for their profession. Also speaking, Tajudeen Tiamiyu, Manager of Fosla Academy FC, gave the assurance that the club would be playing in the Nigeria Football Professional League (NFPL) in the next four years. Tiamiyu asserted the club’s preparedness to excel in all levels of football beginning from the super league. He noted that the club started from the scratch with a tall dream of taking the FCT and indeed Nigeria to greater heights. The News Agency of Nigeria (NAN) reports that Fosla Academy FC qualified to represent FCT in the super league. They had 12 points to lead the other 11 clubs that qualified for the super league.